Explore the range of corrosion protection packaging materials containing Volatile Corrosion Inhibitors (VCI): films, papers, VCI diffusers and VCI Interleaves. ZERUST® EXCOR® easy to use VCI stretch film for multiple packaging applications. ZERUST® EXCOR® flat VCI bags with zipper. ZERUST® EXCOR® flat zipperbags with supplementary grip seal. Perfect for small elements transportation. Grip seal assures the perfect closing of package. ZERUST® EXCOR® OPS – Outdoor Preservation Shrinkfilm. This is a premium high-strength 200µm, high-performance shrink film with UV stabilizers for 3-year outdoor protection in combination with ZERUST® EXCOR® corrosion inhibiting technique. Zerust® ICT® 510-OPS Outdoor Preservation VCI Shrink Film shrinks and conforms to objects when heated to repel moisture and contaminants. Zerust VCI saturates the interior of the packaging to protect hard-to-reach spaces and voids from corrosion. This specially designed VCI shrink film is ideal for lay-up and mothballing of equipment, vehicles and outdoor storage of components. Multiple sheets can be shrank together for any size application such as structures and machinery. Zerust Outdoor Preservation Film protects valuable metal assets and makes them ready to use whenever and wherever they are needed. Type – E – protection against corrosion damage for ferrous metals, such as iron, steel or cast iron. Type – NE(C) – protection against corrosion damage for non-ferrous metals, such as aluminum, copper, brass and bronze. ZERUST® EXCOR® shower cap – Specialty bag with elastic band in the opening. ZERUST® EXCOR® shower cap – Specialty bag with elastic band in the opening. Please contact Zerust for available measurements. Type A – novel VCI technique which includes special corrosion inhibiting components which offer corrosion protection to almost every single kind of metal. VCI ZERUST® EXCOR® standard and customized bags and sacks. ZERUST® EXCOR® standard and customized VCI bags and sacks in sizes varying from the smallest to EuroPallet and larger ones. Could be delivered by pieces or perforated on roll, possibly with sticky tape, gusset and other variations. ZERUST® EXCOR® film an easy-to-use packaging film that contains our proven corrosion inhibiting technology. ZERUST® EXCOR® film is a cost-effective and versatile protection against corrosion damage. Film is available in sheets or in rolls. Available in widths: 60 mm – 6000 mm (and other on request), thickness: 50 – 200 µm. ZERUST® EXCOR® tubing (or half-tubing) is an easy-to-use VCI packaging material that contains our proven corrosion inhibiting technology. ZERUST® EXCOR® tubing and half-tubing is a cost-effective and versatile protection against corrosion damage. It’s available in rolls that are often used as source for welding of bags. Width of tubing (or half-tubing): 30 mm – 3000 mm (and other on request), thickness: 50 – 200 µm. ZERUST® EXCOR® VCI Bubble Film provides protection against both mechanical damage and corrosion. 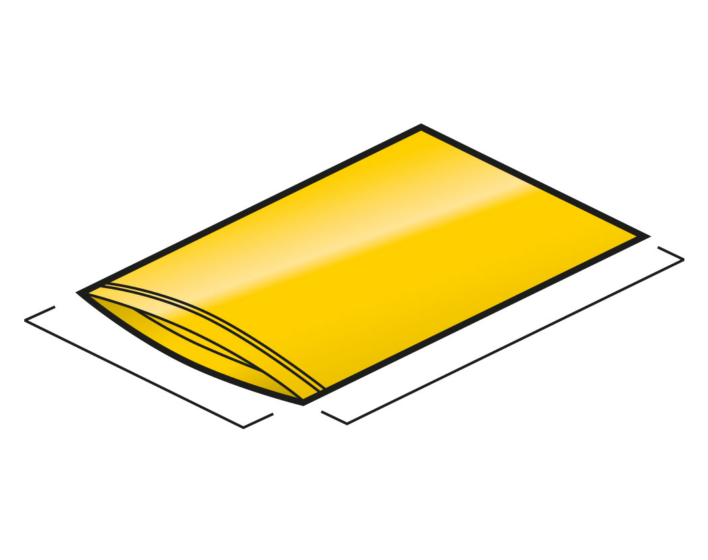 ZERUST® EXCOR® Bubble Film is a flexible, light and highly cushioning packaging material with active corrosion protection due to ZERUST® EXCOR® VCI. It protects metal surfaces during transport against corrosion and the air bubbles prevent the goods from mechanical damage.